Imagine that you are living in a country where most of your family members are now detained in mass detention camps where they face inhuman torture including waterboarding! You ask – why? Well, according to the government, as an ethnic and religious minority your family members are perceived as potential threats to the law and order of the country. You ask – isn’t such a racist discriminatory practice against someone born into a family that is not part of the majority ethnic group? What happened to all those rights enshrined in the Universal Declaration of Human Rights? What about the international laws prohibiting such crimes against a people? Isn’t our state a member of the United Nations? Did not our government ratify such laws and are expected to live by such binding articles? 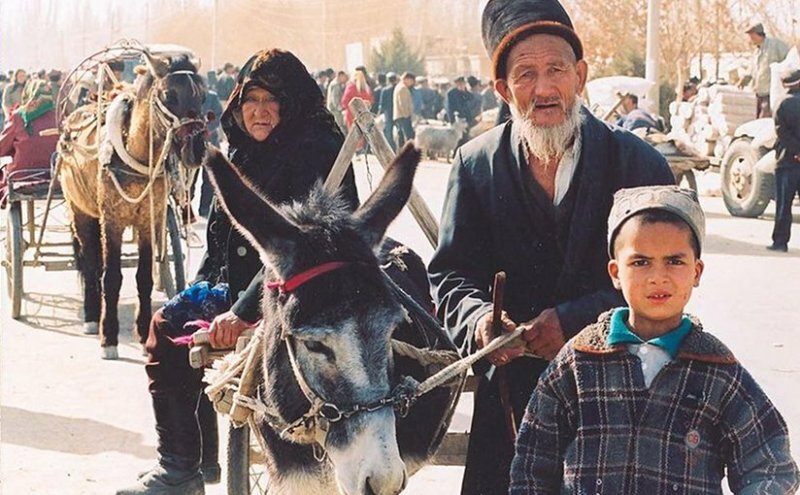 While, we may hesitate to use the term ‘genocide’ yet for what the Uyghurs are facing these days inside China, but the signs are all too evident to recognize early signs of an ethnic cleansing. It’s ugly and nothing to feel good about Xi Jinping’s China. 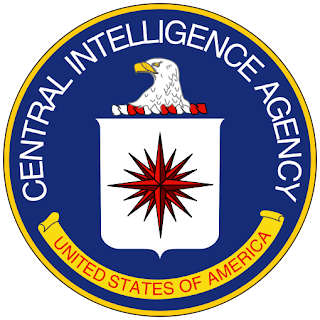 The testimonies of detainees who have passed through these centers, that Amnesty International claims are being run like wartime concentration camps, are replete with reports of torture including waterboarding, electrocution and force-feeding. According to eyewitnesses, the situation is so horrific that some of the detainees have even committed suicide, which is forbidden in Islam. The Chinese government has incarcerated everyone from professors, journalists, comedians, editors and poets to nursing mothers, children, the elderly and even the terminally ill inside these detention centers. Lately, the Xi’s government has announced a five-year plan aimed at “Sinicizing” Islam to make it “compatible with socialism”. 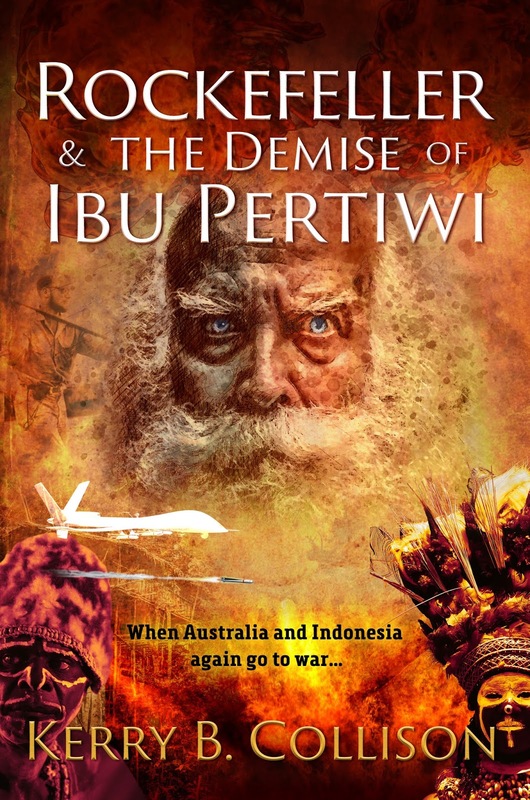 Activists, however, warned that this campaign would gradually lead to a total eradication of Islam – with which some 23 million Chinese still identify in the country. Thanks to the Chinese government propaganda, the Uyghurs are perceived as trouble makers by most Han Chinese and as such, are told that these ‘terrorists’ must be restrained and ‘reeducated’ or ‘reprogramed’ to accept the new reality in China that has no room for dissension, dialogue and debate. Not surprisingly, the frustrated Uyghurs who increasingly find themselves cornered against the wall and are denied the rights to their culture, plus the political and economic windfalls that have hitherto benefitted the Han settlers to their mineral-rich region have sometimes reacted violently by attacking Han settlers and the trigger-happy police with knives. As we have seen elsewhere, ethnic riots do not occur in vacuum. If the young Uyghurs, a minority group comprising roughly half the population of Xinjiang province, had not lost trust in the state and its institutions it is difficult to accept that such riots could have occurred. In August 2018 the United Nations called upon China to end the detention, but government officials denied the existence of the camps. How long can the criminal regime of Xi Jinping deny what is so obvious and well-known? While one can understand Xi’s loftiest goal of transforming China as one of the world’s great powers one cannot excuse his gross violations of human rights. Although Xinjiang represents just 1.5 percent of China’s population of 1.4 billion and 1.3 percent of its economy, the Alaska-sized Muslim-majority region borders eight countries and sits at the geographic heart of Xi’s signature Belt and Road Initiative and serves as a crossroads for a railway link to London and a route to the Arabian Sea through Pakistan, where China is financing a $62 billion port and transportation corridor called the CPEC (China-Pakistan Economic Corridor). It’s a trillion-dollar plan to finance new highways, ports and other modern infrastructure projects in developing countries that will connect them to China’s markets and put them in China’s debt for decades to come. Xi’s authoritarian regime has spent vast sums of money to building up cities in Xinjiang to attract companies and fuel economic growth in the relatively poor region. Concerns about PRC’s diabolical crackdown policy of the Uyghurs and lawlessness in Xinjiang, however, don’t appear to be reassuring investors. Almost no foreign companies have located there, and the region’s economy slowed last year. It is equally important for all the developing and third world countries where China has invested heavily in recent years that they use such as a point of strategic leverage and encourage Beijing into compliance with international human-rights norms and stop its horrendous crimes against the Uyghur. For China to be great again, it must earn the respect and trust of the world community by respecting the human rights of its minorities to live and prosper as equals. It simply cannot afford to behaving like a rogue state that arrogantly sees the Soviet Gulags and Nazi Concentration Camps as models to copy. 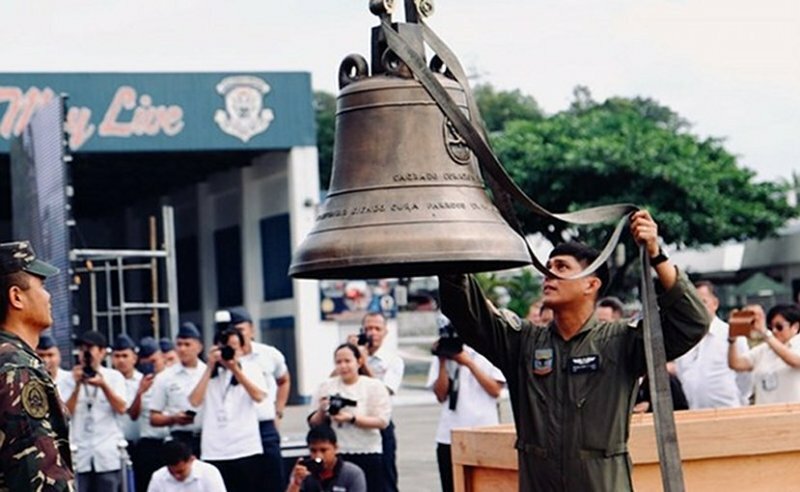 Can The Bells’ Return Ring Back Philippine-US Ties? The much-awaited homecoming of the three Balangiga church bells signify United States’ resolve to reset relations with its former colony and longtime ally. Philippine President Rodrigo Duterte’s tirades against the West and efforts to diminish the country’s over reliance on America by expanding ties with other major powers, including U.S. rivals China and Russia, unsettled bilateral relations since 2016. The U.S. obviously wants to check Philippines’ increasing tilt towards Beijing and the bells’ repatriation, albeit symbolic and long overdue, is a clear and solid step towards this. Nonetheless, while such a hallmark move is welcome, it may have marginal effect in countering the core of burgeoning Philippines-China ties which remain firmly grounded on economic convergence. Instead, the bells’ return will have greater utility as a platform to restore high-level political ties and cement U.S. position as Manila’s pre-eminent security partner, a position being challenged by Beijing’s foray into security goods provision. Duterte asked for the bells’ return in high profile fashion in his 2017 State of the Nation Address. Philippine ambassador to the U.S. Jose Manuel Romualdez also said that Duterte requested the same from U.S. Defense Secretary James Mattis back in October 2017 as the retired marine corps general attended the ASEAN Defense Ministers’ Meeting-Plus (ADMM+) in the former U.S. airbase of Clark. Furthermore, as the strategic Southeast Asian maritime country shops for arms for its military modernization, even considering purchasing from Russia, Duterte said that any arms procurement from U.S. will be premised upon the bells’ return. Foreign Affairs Secretary Teodoro Locsin Jr. mentioned that Duterte will never visit the U.S. until the bells are returned. Hence, with the precondition satisfied, there is an expectation that Duterte will soon accept President Trump’s invitation to visit Washington. More importantly, if the bells’ homecoming can be considered a bellwether for the future of bilateral relations in a fast changing geopolitical landscape, there is cause for optimism. Past Philippine leaders, including West Point graduate Fidel Ramos and Gloria Macapagal-Arroyo, a former classmate of Bill Clinton at Georgetown University lobbied for the bells’ repatriation. But their efforts were in vain. Ironically, it took an uncouth former mayor who long harbored misgivings about the U.S. to trigger the bells’ eventual comeback. But the unassuming Duterte refrainedfrom claiming recognition. Instead, he accorded what he described as an act that restored Filipino dignity to the “generous act of the Americans”, adding that credit goes to the people of both countries. More than a century after being snatched, the bells returned in time for Christmas to call the faithful in the Eastern Samar town. For this historic event which will surely be remembered as a legacy of the Duterte administration, the U.S. not only earned the goodwill of the Filipino people; it also restarted bilateral relations on an elevated plane. When Duterte set the bells’ repatriation as the floor for the restoration of high-level political ties, both sides’ diplomatic and security establishment set out to work. This contributed to a change in the President’s attitude towards a possible state visit. In July 2017, in response to threats from some U.S. solons who claimed they will block his visit, the former Davao mayor said he will never visit “lousy” America. 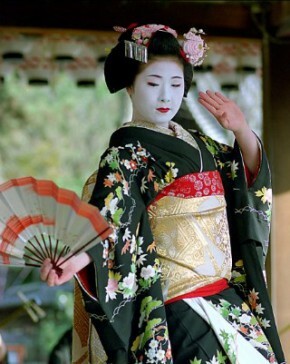 A year later, he mellowed and remarked that such a visit is just a matter of scheduling. The specter of protests from rights groups and some members of U.S. Congress opposed to his signature drug war continue to loom large during a possible Duterte visit. 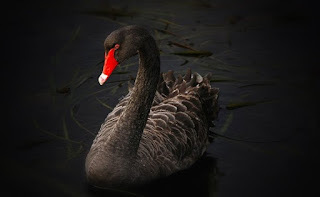 Sensitivity to criticisms about his war against drugs was actually one of the major reasons why the firebrand leader eschewed the invitation in the first place. But the bells’ return removed the impediment for such a visit. Besides, Duterte will not be the first controversial Southeast Asian leader to enter the White House. President Donald Trump previously hosted scandal-hit former Malaysian Prime Minister Najib Razak, Thai junta leader Prime Minister Prayuth Chan-o-cha and undemocratic Vietnam’s Prime Minister Nguyen Xuan Phuc. Notwithstanding the efforts of veterans groups, the Catholic Church, and civil society, the official top level push was pivotal in putting to rest one of the long-running irritants in the two countries’ 72-year relations. U.S. officials, notably Secretary Mattis and U.S. Ambassador to the Philippines Sung Kim, prevailed over those who opposed the bells’ rightful return. 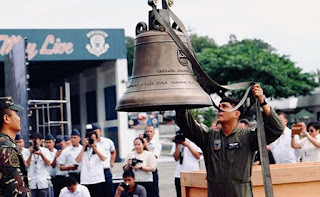 Former Philippine defense attache to U.S. and current Defense Secretary Delfin Lorenzana also worked hard for the bells’ repatriation and maintenance of longstanding security ties. While Duterte already had his third Foreign Affairs Secretary amidst frequent Cabinet revamps midway into his term, Lorenzana remained a steady figure in the defense establishment. This suggests Duterte’s desire to keep the alliance despite his rhetorical bluster. With the echoes of the symbolic ringing of one Balangiga bell tattooed on his mind, the intensity of verbal tirades against the US are also likely to subside. A few days before Christmas, former Philippine Permanent Representative to the United Nations and currently Foreign Affairs Secretary Teodoro Locsin Jr. met his American counterpart, State Secretary Mike Pompeo in Washington. The two chief diplomats discussed cooperation in addressing terrorism and regional flashpoints, notably the Korean Peninsula and the South China Sea. Locsin also conveyed Duterte’s appreciation for the bells’ return. Recent calls for the review of the 1951 Philippines-United States Mutual Defense Treaty (MDT) may be seen as a further disruption in bilateral relations. However, that disruption may turn out well for both sides if provisions of the treaty, which serves as the bedrock of the two countries’ security ties, will be evaluated to keep up with the changing times. As the mother document for subsequent bilateral security arrangements, notably the 1999 Visiting Forces Agreement and the 2014 Enhanced Defense Cooperation Agreement, the review will have far reaching implications for the security partnership. There is also expectation that a strengthened treaty will enhance the country’s deterrence and commit the U.S. more to evolving Philippine security requirements. Hence, the return of the bells may have just paved the way for a conducive climate to update the anchor of one of the world’s most enduring alliances. 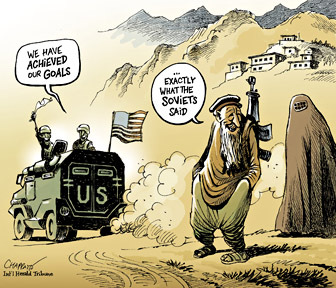 Even the American President Donald Trump recently admitted : “The reason Russia invaded Afghanistan was because terrorists were going into Russia; they were right to be there.” Incidentally, Trump also implied the reason why Soviet Union collapsed was due to the economic burden of the Soviet-Afghan War, as he was making a point about the withdrawal of American forces from Syria and Afghanistan. 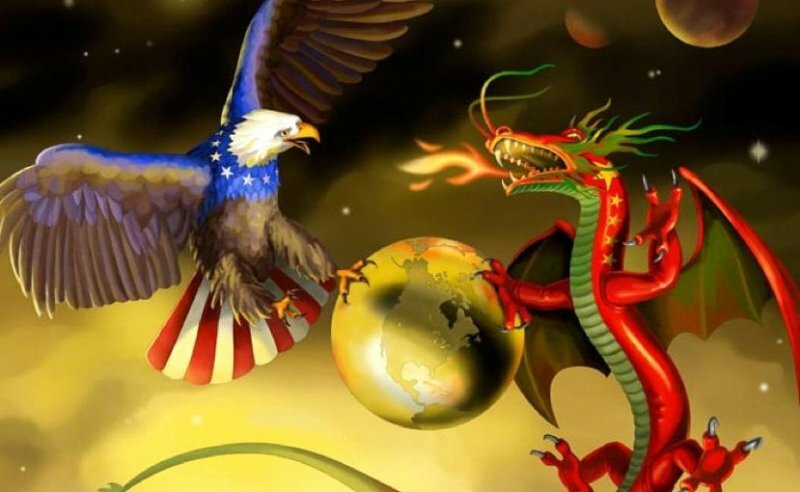 The burgeoning US-China contest for the minds and hearts of Asian nations is stressing and straining some countries’ domestic politics and posing increasingly difficult choices for their leadership. How and why is this so and what are some of the consequences? China is making advances on other politico-military fronts. China and ASEAN are making some progress in the negotiation of a Code of Conduct (COC) for the South China Sea. https://www.channelnewsasia.com/news/singapore/asean-agrees-to-guidelines-on-air-encounters-boosts-counter-10843358 China has proposed a clause stating that “the Parties shall not hold joint military exercises with countries from outside the region, unless the parties concerned are notified beforehand and express no objection”. Presumably it believes it can garner support for the proposal within ASEAN. China has also stepped up its efforts to increase its political inroads in Asia. The Hoover Institution has published a report detailing how China has tried to influence domestic politics in many countries including in Asia. https://www.hoover.org/research/chinese-influence-american-interests-promoting-constructive-vigilance Some of China’s actions were deemed offensive and even illegal by the target countries. Indeed, . Australia has begun to take measures to restrain China’s influence on its domestic body politic. But China is biting back and if it is going to reset the terms of its engagement with China, it will have to accept strains on the bilateral economic relationship. The U.S. has historically engaged in similar practices– and worse –in many countries including in Asia – – and is probably still doing so. During the Cold War, some of the tools it used to influence countries included Voice of America and Radio Free Asia https://en.wikipedia.org/wiki/Voice_of_America, covert operations, and support for assassinations and even coups in countries whose regimes it did not like, like South Vietnam and Indonesia. 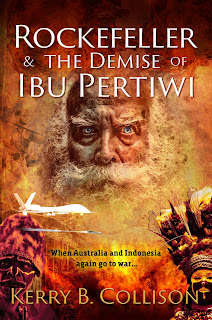 That does not make what China is doing right – only that it has come somewhat late to this aspect of realpolitik and it is rather clumsy and insensitive in its approach.